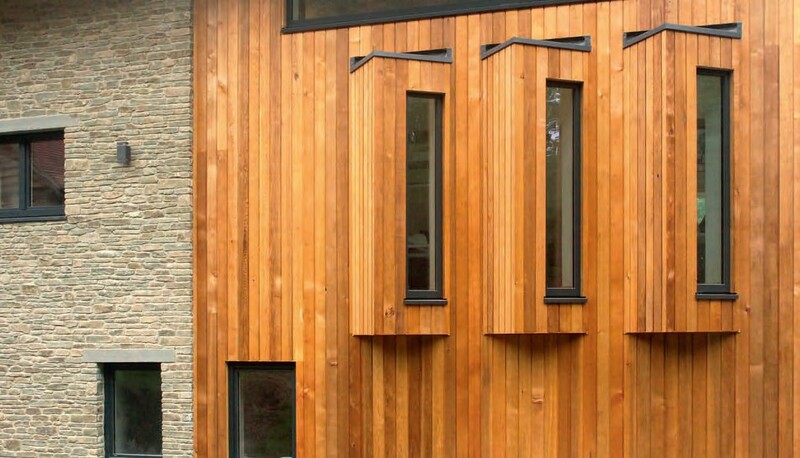 Vastern Timber’s Canadian cedar is a slowgrown, durable cladding option, priced from around £51 per m2. External render is a cost-effective choice for both new homes and for giving existing houses a facelift. 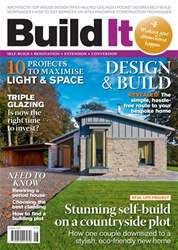 It can be used across all elevations or in combination with other finishes, such as masonry or timber cladding, to add architectural interest. It can be smooth or textured, and some modern products are self- or through-coloured (so the hue runs all the way through the finish). Standard sand-and-cement render is usually applied in two coats. Plastic mesh reinforcement is sometimes used to aid flexibility and minimise the risk of cracking. The outer layer must be of a weaker mix than the first coat, and movement joints may be necessary on large areas. It will then need to be coated with a suitable masonry paint. You can expect to pay around £20-£30 per m2 (including labour) for this kind of finish. Pre-bagged monocouche renders are also available, which are applied in a single coat. These products use white Portland cement as a binder, allowing for pigment to be added to the mix. This creates a through-coloured render. So whilst the materials costs are higher, there’s less labour requirement and no need for painting.